The San Diego Zoo Safari Park is celebrating the birth of three rare Sumatran tiger cubs. 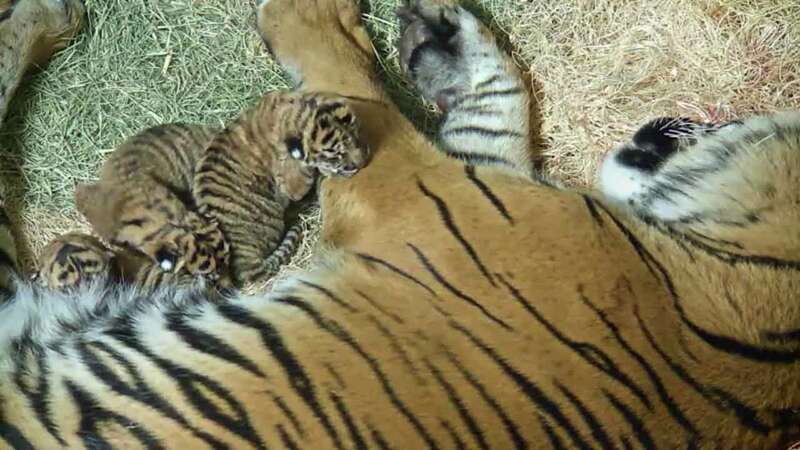 SAN DIEGO -- The San Diego Zoo Safari Park is celebrating the birth of three rare Sumatran tiger cubs. The two girls and one boy were born on Feb. 16 to parents Teddy and Joanne. Keepers say all three are thriving, and their mom is doing a great job taking care of them. The cubs are still too little, but when they get a bit older, guests will be able to see them at the zoo's Tiger Trail. With the addition of all three cubs, the Safari Park is now home to 10 Sumatran tigers. There are fewer than 350 of these endangered tigers remaining in the wild. Scientists estimate that the critically endangered species could be extinct in its native Sumatra by 2020.